Thousands of college hopefuls have been scrambling to apply for third-level courses in Ireland in recent weeks. 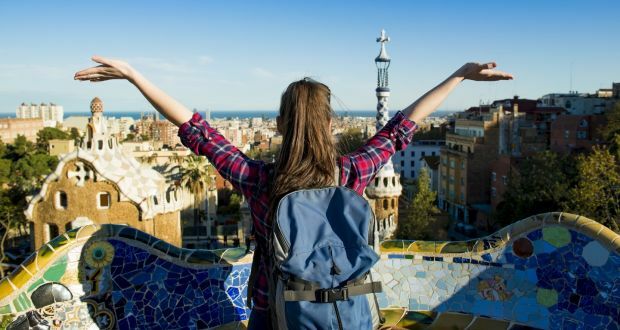 But increasing numbers are looking further afield to Europe where affordable fees, prestigious courses and easier entry requirements are turning students’ heads. The United Kingdom has traditionally been the location of choice for most Irish students who head outside the jurisdiction. Several thousand typically apply for courses in Northern Ireland (particularly those living near the Border), Scotland (where Irish students pay no fees) and England, despite the £9,000-plus (€12,500) yearly fees. But the impact of Brexit and uncertainty surrounding fees means more students are looking at study options for courses taught through English in countries further afield such as the Netherlands, Denmark, Poland and Germany. Some of the attractions for Irish students are obvious: cheaper accommodation, exposure to other cultures and a chance to study in European universities ranked higher than Irish colleges. Eligible Irish students can also take their State-awarded grant with them and may work at a part-time job. About 1,500 third-level students from Ireland in receipt of State-funded grants are studying in colleges abroad. Guy Flouch, head of the European University Central Application Support Service, says points pressure in Ireland is a key factor driving students to consider studying abroad. Mr Flouch said when he attended the recent Higher Options fair in the RDS last year, guidance counsellors were approaching him saying studying abroad is becoming mainstream. “It is becoming an increasingly common option especially in the wake of Brexit where Irish students are much less interested in Ucas, the portal for studying in British universities,” he says. Almost 900 degree programmes across all disciplines are taught through English in Europe. Many – though not all – are cheaper than studying in Ireland. No fees apply in Germany, Scandinavia, Sweden and Finland. In Austria, Switzerland and Belgium fees are usually less than €1,000 a year. In the Netherlands, fees of €1,984 apply (where more than 40 per cent of these programmes are offered), but students can get a loan to cover this, paying it back over 35 years. Europe also offers top-quality universities with many such as Utrecht and Leiden (the Netherlands), Gottingen (Germany) and Lund (Sweden), which rank higher than Irish universities. Securing a place in college can be a lot easier than through the CAO. The barriers to entry are set lower and there is a strong focus on third level being accessible to everyone, regardless of academic achievements. “The overwhelming philosophy in mainland Europe is that students have a right to an education therefore they don’t do points,” says Mr Flouch. If getting into a top university with fewer points may sound like it’s too good to be true, it comes with a caveat. “I tell students, you play hard but you must work hard too,” says Mr Flouch. “ It is easy to get in but I tell students you have to work hard once you get in there. These are some of the top universities in Europe. “There is no repeating of years. You’re expected to get 45 out of 60 credits, take part in problem-based learning and show up for all your lectures and tutorials,” he says. They are sentiments shared by students themselves. Karl Wolfe (20), who is studying physiotherapy in Fontys University in Eindhoven, says his course is highly demanding. “The course is quite intense with a lot of study hours and project work to do but it doesn’t feel like hard work when you love what you are studying,” he says. Sarah McClafferty (24) from Donegal, who is studying veterinary medicine at Warsaw University of Life Sciences, says the workload is “huge”. Students who find it difficult to cope do end up dropping out of courses. Mr Flouch insists these rates tend to be low because international students tend to have done more research on course demands. Individual universities tend to attract Irish students for highly-regarded courses. Physiotherapy at Hanze University Groningen in the Netherlands has attracted about 15 Irish students, while veterinary science at the Warsaw University of Life Sciences in Poland is so popular about half of its first-year class are Irish. Meanwhile, psychology, law, business, medicine and other subjects at the University of Groningen have attracted about 80 Irish students. Hungary and the Czech Republic are also popular destinations for students who want to do medical courses, though some colleges can charge hefty tuition fees. Italy, too, is growing in popularity with medical students, with seven public universities in Italy that offer medicine through English. Denmark is another popular destination as there are no fees and free healthcare for EU students. Overall, he says the majority of Irish students flourish in a variety of ways while studying abroad. “The levels of self-confidence and self-esteem and independence they get is a skill set employers really see,” he says. “They are self-sufficient and living abroad – meeting challenges and succeeding. It impacts positively for the rest of their lives,” he says. Sarah McClafferty (24), from Donegal, is studying veterinary medicine at Warsaw University of Life Sciences. “It was always been my dream to become a veterinary surgeon,” she says. “I worked as a veterinary assistant last year, which I absolutely loved and decided to follow my dream and studying in Poland seemed perfect as I always wanted to travel. She says she doesn’t have time to do a part-time job because of the workload. She is entitled to a student grant, however, and her parents assist with tuition fees. While the course is taught exclusively in English, students must learn animal anatomy in Latin, the universal language of medical terminology. She says studying in Poland differs significantly from studying in Ireland. “It is quite hard to adjust to a brand new lifestyle and culture especially for the younger students who are just straight out of school,” she says. She says studying abroad was a big decision, but one she is happy with. Homesickness isn’t too much of an issue given there are more than 30 Irish students in her class.